If we allow ourselves to spend at specific times and on specific things, we will be much more successful in our debt payoff process. Creating a thriving marriage takes work. Working through marriage money conflicts will help you work towards youf financial future together. 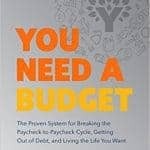 Budgeting is essential to being a good financial steward. We’re raising kids who will be on their own soon. 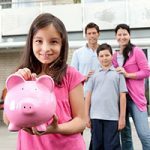 Here’s how we can teach budgeting at every age. There are many small changes you can make to change your life and improve your health and your finances. 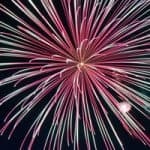 Here are some common ones you can change this year. 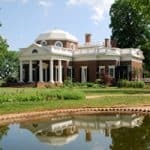 Thomas Jefferson died deeply in debt in part because of his hospitality. Certainly, being hospitable should be encouraged but he took it too far. 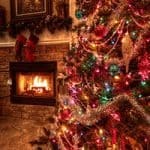 The average family plans to spend close to $1000 on Christmas expenses. 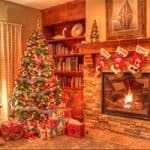 Here’s how you can cut that number significantly by having a frugal DIY Christmas. 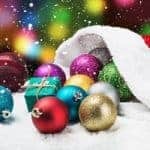 If you haven’t already done so, now is the time to set your Christmas budget and find ways to save before the pressure to spend on the holiday begins. 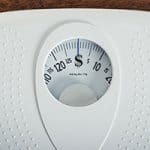 Losing weight has a lot in common with keeping a budget. There are important lessons to be learned that can apply to both your fitness and finances. 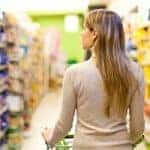 While using a grocery delivery service may seem to be frivolous, chances are you could save some real money having your food delivered. Here’s why. 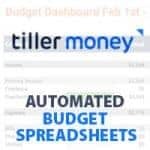 Tiller Money is a personal finance app that helps you to create customized Google Sheets spreadsheets that are automatically updated from your linked financial accounts. Here’s why it might just be the budgeting tool you were looking for. If you’re paid bi-monthly and living paycheck to paycheck, which strategies do you use to make budgeting easier? Here’s one hack we recently discovered. 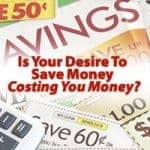 Is Your Desire To Save Money Costing You Money? There was a time when I spent money to save money, thinking I was a smart shopper. 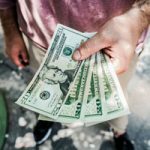 Here’s how this technique cost me money and may be costing you money too. It’s easy to get wrapped up in the Christmas frenzy. Instead, stick to your budget and financial plan and enjoy the season!